The mid-sixties brought a gentlemen’s agreement: Liverpool would do the music, and London would do the football. It might have happened earlier. Most capital cities dominated the football in their respective countries, and London had only missed out because we’d invented the game, and invented it north of Watford Gap. But by 1964, the English national side, managed by a Londoner, was filling up with men from the south east. Moore, and Greaves were already there. So was Maurice Norman. Johnny Haynes was attempting a comeback from injury. More were to come. But the World Cup was two years away, and it would bring South American sides with it, and anyway, it was too much to ask even the revitalised ’61 side of ’63 to keep it going until then. And it was about time for another impact player. Charlton and Greaves were bedded-in, Clough was gone and Haynes going. In later years, it would be Gascoigne, Owen, Rooney who’d re-excite the side. In 1964, it was a West Ham forward, Johnny “Budgie” Byrne. Byrne looked like a Londoner. In some photographs, he’s John Terry, but taller, slimmer and faster. He’d started his real career at Crystal Palace, coming to life when Palace switched away from 2-3-5. There, under Arthur Rowe of Spurs “push and run” fame, Byrne would become the only Division Four player to get the England call, albeit into the Under-23s. Then came West Ham, who provided one of those what-if? moments by offering Geoff Hurst as a makeweight before thinking better of it. They still ended up breaking the British transfer record for him. Byrne would have some great seasons at Upton Park, but ’63-64 was the one to remember: 33 goals in all competitions, a League Cup semi-final and an FA Cup Winner’s medal. It was only enough to finish 14th in Division One, but it was a year in which only eleven points separated the Champions Liverpool from seventh place Blackburn Rovers. Ramsey took Byrne on tour with England in the summer of ’63, and played him against Switzerland. It came off well: he scored two, Charlton bagged the match ball and he’d outshone Greaves, who failed to score at all in the 8-1 victory. He was unfortunate in his next game, against Scotland. Once again, Ramsey brought the best out of Jim Baxter and the wind got the better of Gordon Banks. But then came the Byrne glory charge through the spring of 1964. He scored two goals against Uruguay at Wembley, and, all-importantly, victory against one of the South American giants. Victory in London, made in London, with Cohen, Moore, Norman and Greaves all there to share it with him. Then a hat-trick against Eusebio’s Portugal in Lisbon. Five Londoners on the pitch against a European team full of stars. Greaves, alongside him, wasn’t scoring, but he was bringing the best out of Byrne. Both men would be at their physical late-20s peak come the World Cup, and they’d have eighteen months to bed the partnership down. It could only get better, and did. Both Greaves and Byrne scored in the comfortable 3-1 win over Northern Ireland. In the summer of 1964 England would tour the Americas, and the Londoners would get their chance against Brazil. But this is another story about flawed genius. 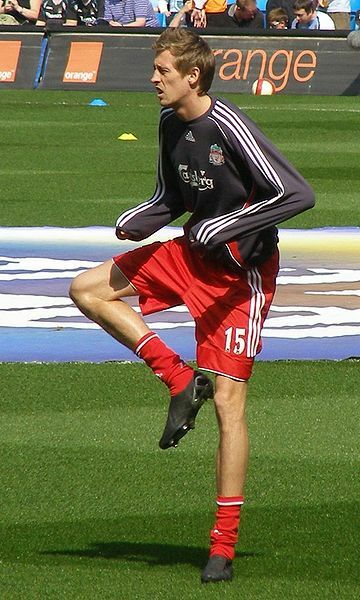 Byrne had a reputation as a drinker by this stage, although, as George Best would later protest, so did most players. 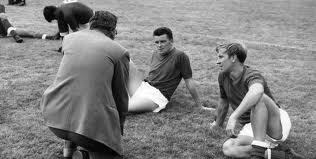 Byrne had been one of a group who broke curfew before facing Portugal, but at least he’d performed thereafter. But there were more shenanigans on tour in the Americas. The tour had begun well, with a comprehensive 10-0 win over the United States in New York. Byrne was left out for that one, but another Londoner, Mike Bailey of Charlton, enjoyed an impressive debut. Like Ken Shellito in 1963, he looked set to continue, then broke his leg. He would not be the last before ’66 came round. But Brazil was a disaster. Pele destroyed England in the second half, and although Greaves got his goal, 5-1 was about right. The gulf between Brazil and the European game was all too apparent. Then, defeat against Argentina. And no goal for Byrne. He was dropped after that, reappearing briefly in the autumn against Wales where he’d see Forest’s Frank Wignall score on his debut. But his conduct, and Ramsey’s doubts about his partnership with Greaves against the very best sides, extended his international exile. That left West Ham to take a monopoly on all Byrne’s excess energy. At club level, 1964-5 would be his annus mirabilis. He stormed to 25 goals in 33 games, and helped West Ham win the first leg of their European Cup Winners Cup semi-final against Real Zaragoza. A recall had to come, and it came, with a year to go before the World Cup, against Scotland. For England, it was a bit more like it, a 2-2 draw despite playing with only nine fit men. For Byrne, it was disaster. When Ray Wilson left the field at half time, he slotted back into defence, and then tore the ligaments in his knee. He played on through intense pain, worsening the damage. Some say that it was now that his drinking really took hold. But in fact he recovered well – and helped West Ham to another European Cup-Winner’s Cup semi-final. Ramsey named him in the provisional 28-man squad for the World Cup Finals, alongside his strking partner Geoff Hurst. He didn’t make the cut, and what followed resembles a man falling down unexpected stairs. In 1967, West Ham offloaded him to Crystal Palace, where he had just enough time to score one goal in fourteen games in a failed promotion push. Palace passed him on to Fulham. After that, and it was another brief, unsuccessful sojourn, Byrne emigrated to South Africa, and found a happy footballing life for himself in Durban. Ron Greenwood had once compared him to Di Stefano. In 1964, Greenwood could have compared him to anyone at all, and not been far away. Despite Byrne’s departure from the scene, and Greaves’s international decline, England would go on to great things. But they’d never score goals in quite that way again.